Diverse Toronto summer camp (with March Break programs) offering kids programs in science, history, art, environment and more. Awesome Baseball Summer Camp and Skills Clinics for boys and girls ages 4-15 who are interested in developing baseball skills in a fun and inclusive environment. Come and learn from our amazing instructors! Our camps are fun, creative and educational. Campers work with professional equipment like, kitchen aid mixers, turn tables, induction cook tops and specialized cake decorating equipment, etc..
A leading soccer program in Toronto with camps for players aged 6 to 16. A 1:6 staff/camper ratio means campers get a high level of attention and skill development. Kids Karate Summer Day Camp, PA Day Camps, March Break Camps. After school martial arts, Karate and fitness programs. Galaxy Volleyball offers multiple types of beach & indoor camps and clinics so you can find a program that perfectly fits your age, personal goals and experience level. A soccer club for players of all skill level - Spring and Summer Leagues and Summer Camp available. Your child will enjoy participating in a variety of sports including tennis, racquetball, squash (professional instruction), badminton & swimming. Sign up for PA/PD days, March/Winter & Summer camps. Vaughan Basketball offers year round after school, March break, weekend programs & summer camps to youth 5-17 in Maple, Thornhill & Richmond Hill. Choose from house league to competitive rep teams & workshops. Now in its 20th year, the Stratford Festival Theatre Arts Camp runs in July and August. Taught by professional teaching artists, participants enjoy an intensive program of classes, rehearsal and theatre-going. Many winter camps have program sessions that run through the entire winter, from November to March. Most of these camps also have some program sessions that run through specific periods during the winter, anywhere from a week to several months. There are also winter break camps, March break camps, and PA day camps offering programs during the winter. Winter camps have lots of exciting and interesting activities and programs. For instance, there are winter camps offering sports programs, such as hockey, gymnastics, skating, and swimming. There are also winter camps offering arts activities and instruction, such as in dance, music, and acting. Some of these camps specialize in one of these activities, and some offer an activity as one among several others. A winter camp can be a great option for your child, whether they're a toddler, pre-teen, or adolescent. These camps offer activities that can improve your child's coordination, strength, and fitness and skill level. They can also enable your child to develop socially, emotionally, intellectually, artistically, and in other ways. Best of all, winter camps can be great fun! 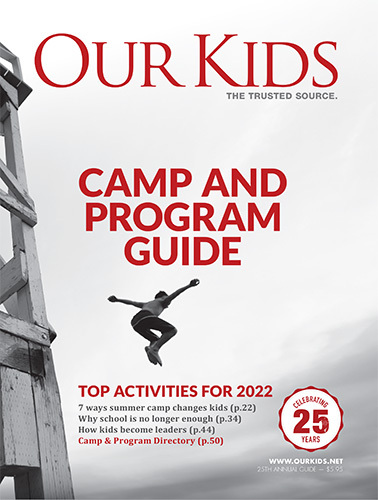 Above, find winter camps in Canada for kids. By clicking on a camp, you can see exactly what activities and programs it offers, and when it offers them. You can also learn how to contact the camp directly to answer any questions you have, and to register your child. Good luck in your camp search!